Most evenings I turn on the iPad and spend my free time scouring the internet for the ‘magic answer’ of how to turn your hobby into a business, on millinery forums or admiring other people’s work on Instagram and Pinterest. Although this time online has played its role in distracting me from some difficult times, it also allowed me to avoid action and became something to hide behind. I ended up doing very little crafting – my current Attic 24 blanket remained in its crochet bag, the second sock remained on its needles and my confidence took a bit of a nose-dive. I have two fabulous daughters (a 16 and 19-year-old) and one of my biggest hopes for them both is that they develop and follow their dreams. Life has a funny way of blowing you off course and losing yourself . At times like that I hope they find enough inner strength and self-belief to ‘adjust their sails’ and keep their hopes alive. The pace of achieving their dreams may altered as their understanding of the world and people grows, but I want them to understand that that is Ok – it’s about the journey. Without a dream the journey never happens. 24 years ago I went to Hong Kong and brought this quote from a local street market – as you can see it’s a bit of a treasured item and become a personal mantra. So, 2017 will be my year of action. Financially I need to work full-time in my current job, but the hours around that and the valuable time spent with family and friends needs to be used as productively as possible. I’ve spent the last few days taking down the Christmas decorations and altering the furniture to create a small creative space (basically a table in a bay window) to help me focus. I’ve done a little bit of visual dream planning and over the next few months I am intending to open up my first online millinery shop (Etsy?) and take a table at a Vintage style craft fair – both these things will take me closer to my dream. I will try my best to blog about these things to a) share my experience to help others on similar journeys and b) make sure I actually do it! So, if you have any ‘top’ tips or words of wisdom to share I would love to hear from you, please pop them in the comment box below. 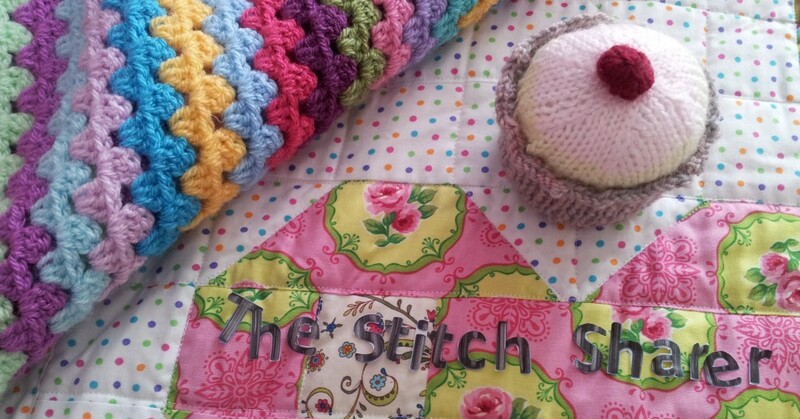 This entry was posted in Business Musings, craft fairs, hat making, millinery, online selling, the stitch sharer, turning dream into reality, turning your hobby into business and tagged online selling by thestitchsharer. Bookmark the permalink. Hello, your blog is always inspiring and I know you will do well in fulfilling your dreams. A year of action sounds like a good idea for all us crafters. Good luck and thanks for a great blog. Hi. I am also thinking about 2017 and how to take my crafting forward without taking any of the fun out of it. I have been following your blog for a couple of years now and have decided to start my own so perhaps you could check it out for me. I feel it is very amateurish at the moment but will persevere and hopefully inspire others, if I could only get it out there. I guess that is the difficult part! I will continue to follow your progress and be inspired by you. Good luck for 2017! Happy New Year! Warmest blessings in the coming year. Just a little idea to hang on to. Learn to spell ‘dream’ and follow it. Learn the word ‘positive’ and never dismiss it. Don’t even bother to learn or spell the word ‘negative’ and then you won’t even recognise it if it is ever thrown at you or if you ever let it creep in! Good luck with your 2017 venture….I shall be watching your blog and urging you on in spirit. Wishing you a successful step by step journey through the year. Definitely open an Etsy shop! Don’t make the mistake of thinking you have to build up a whole load of stock first, everyone is looking to buy one at a time so if you only have one hat ready that could be THE hat to someone. When I opened mine I didn’t sell a thing for about three months and then suddenly the orders started coming and now I have steady sales from Etsy all year round, and I do virtually no promotion other than Instagram. I have also heard people sell well through Instagram alone. Best of luck, not that you’ll need it. Forgot to say how much I love your vintage inspired snoods.